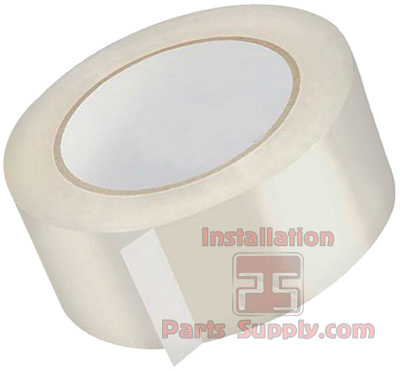 Welcome to the Installation Parts Supply.com Tape Category. 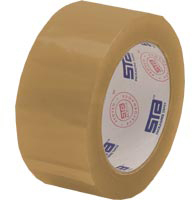 IPS Stocks several types of Tapes specific to the Food and Beverage Industry such as "Safety Tape" which is a Vinyl Tape in 3" and 4"Widths used commonly to wrap bundles of insulated Beverage Tubing. Vinyl Electrical Tape, commonly used by electricians to insulate spliced wires. Teflon Tape, commonly used by techniciansand the military to lubricate and seal Pipe Threads. Duct Tape-often referred as 100mph Tape-is commonly used by HVAC, Racers, & me and you. Plumbers Tape-aka plumbers strap-is a metalband with holes in it so it can be cinched and screwed down to secure pipes, etc., as well as Filament and Acrylic Carton Sealing-Packing Tapes in Tan and Clear.